Picture a nice sunny day in Magic Kingdom and what kind of treats come to mind? Well for me it was a day for ice cream and the Festival of Fantasy Parade with my wonderful husband. 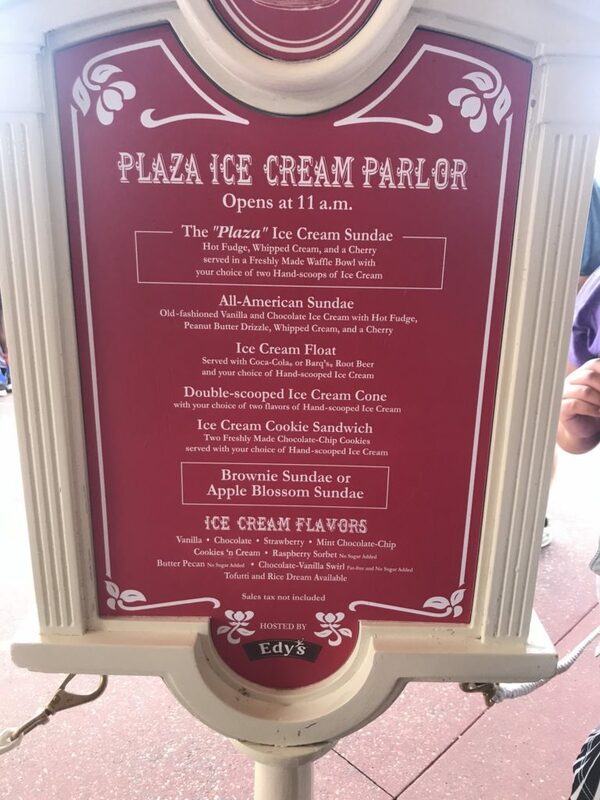 I haven’t tried just a sundae at the Plaza Ice Cream Palor and figured now was a good time. We tried it with a scoop of chocolate and a scoop of cookies & cream and because a picture is worth a thousand words, I have to admit we added extra hot fudge. (Yes there is ice cream under the whip cream and floating in the hot fudge) I’m so glad that he was here to share this dessert with me as this is way to much ice cream for one person. This was by far on of the best desserts I have had in a while. The waffle cone had a cinnamon taste, the hot fudge was super rich and the cookies & cream ice cream was absolutely amazing. (I could do just a scoop of that and be happy.) There were so many delicious looking treats coming out of the parlor it was really hard to decide which one to try. Good thing I’m close and can head back soon to try something different. 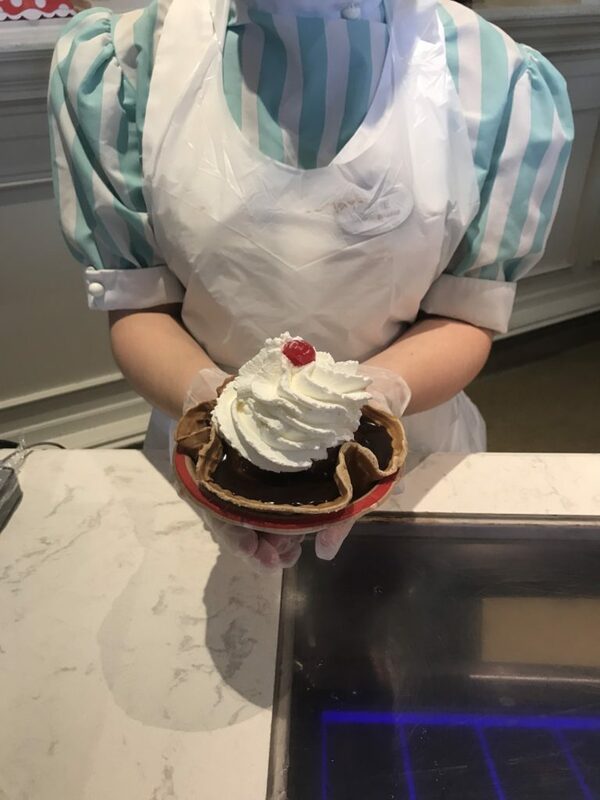 So if you’re looking for a special dessert in Magic Kingdom, I suggest heading to The Plaza Ice Cream Parlor and check out one of their sweet treats.